The apostle Peter certainly ranks as one of the most colorful persons portrayed in Scripture. Here was a married, hard-working man who was full of passion, impetuosity, and love for the Lord. Yet, like us, he was a flawed man, governed at times by fear, pride, and anxiety. How fitting that the Lord of lords would choose this man to be among those who would lead a small band of disciples to change the world. In Luke 5, there is an account that has a profound lesson for all of us who claim the name Christian. Peter, having just had a fruitless night fishing with no catch at all, has Jesus in his boat preaching to an eager crowd. Now, I can tell you, having been married to a salesman for almost forty years, nothing quite discourages a man like the reality that despite his efforts, he has nothing to show for them. I imagine that just as a salesman evaluates himself according to the number of sales he’s made in a day, a fisherman evaluates himself by the fish he catches. After the preaching is done, Jesus instructs Peter to cast his net over the boat. Peter, “knowing” that while Jesus may be a great preacher, He doesn’t know that much about fishing, tells Him that there is no point in doing so, because they went the entire night without catching any fish. But, Peter then does something radical—he obeys. 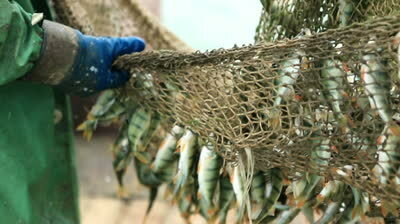 And in his obedience, he catches so many fish that his nets begin to break. Jesus then tells Peter that there will be a greater catch of men than the fish in the boat. Many of us become discouraged when we share our faith with loved ones, friends, and neighbors who many times could care less about what we are saying. We get tired of hearing our own voices and the likely response that we are being judgmental, legalistic, or religious fanatics. But, just as Peter obeyed when Jesus told him to cast his net once again, we must be ready, willing, and eager to persevere in the Kingdom activity we’ve been called to. Looking back over the years that I have been actively endeavoring to obey the Great Commission, it has been discouraging at times. Matters that were so plain to me seemed to fall on deaf ears. However, today, by God’s grace, I am privileged to experience nets that seem to be overflowing. What is the difference? God’s timing is the simple answer. My job has never been to determine the “catch,” but to faithfully cast my net. All of us are given a window of time to serve the Lord here on earth. When we get weary, wondering where the finish line will be, it is good to adopt this perspective.—Until the nets are full!! !